Dopo aver recensito su queste pagine il loro ritorno discografico "Planet Satan", Dr. Best dei Mysticum, storica band Industrial Black Metal alla base del sottogenere, si è gentilmente prestato ad un intervista dove parla del passato, presente, e futuro della band norvegese"
1) Salve. Prima di tutto, voglio ringraziarti per questa intervista. Il vostro ultimo album "Planet Satan" è una delle migliori sorprese di quest' anno. Siete ritornati con il vostro gruppo dopo una lunga pausa, diciottanni dopo il vostro debutto "In The Streams of Inferno": cosa è avvenuto nel frattempo? (Dr. Best) Grazie mille per le buone parole riguardo al nostro nuovo album. Siamo totalmente soddisfatti con il risultato e sentiamo che rappresenti pienamente i Mysticum sotto ogni aspetto. Dopo l' album di debutto “In the streams of inferno” ci siamo stancati del circo in cui si era ridotto il black metal. Intendo, la musica, l' immagine, o le idee sono originali nel momenti del concepimento. Quando tutto ciò diventa comune e diventa vittima della produzione di massa, le cose diventano noiose. La purezza di ciò che era stato creato svanisce. Ciò è successo con il black metal alla fine degli anni '90, ma anche con altri generi. Il Deathmetal è morto più o meno ad inizio anni '90, il thrash alla fine degli '80, l' heavy e lo speed metal a meta degli anni '80 etc. etc. Tutto questo è un risultato della gente fin troppo satura (di essi). Cosa dobbiamo fare noi oggi? Un misto di tutti (questi generi); spesso etichettati come metal estremo o semplicemente come metal. In genere la maggior parte di essi (album) sono prodotti con un suono digitale standard. Ciò uccide l' integrità di ogni gruppo. Come ho detto, ciò è noioso. I Mysticum rappresentano tutto l' opposto. 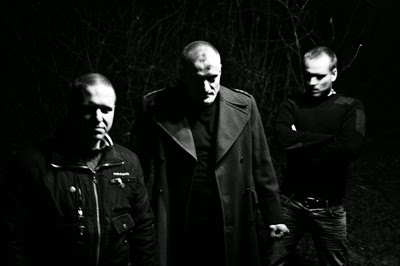 1.b) So che Prime Evil ha collaborato con gli Aborym e gli Amok come cantante, ma i Mysticum sono rimasti in silenzio dopo un debutto magnifico ed innovativo. Cosa ha provocato il vostro ritorno dopo tutti questi anni? 2) "In The Streams of Inferno" è stato una ventata di aria fresca (e nera) all' epoca della sua pubblicazione, nel 1996 l' Industrial Metal non era diffuso e il mischiare Elettronica e Metal non era comunemente accettato, specialmente nel Black Metal. Cosa ha inspirato questa direzione? Pensate di aver creato un intero sotto genere e influenzato gruppi come gli Aborym, il Thorns moderno, i Blacklodge, etc.? Siamo stati di sicuro i primi ad incorporare le parti digitali e ad industrializzare il suono del BM. Ricordoche Hellhammer dei Mayhem ci disse che le persone potevano avere difficoltà nell' accettare il nostro uso di una drum machine. Questo è in parte vero. Quando abbiamo suonato live nel '96, alcune persone amarono quello che sentirono. Altre rimasero li ferme, guardandoci con aria disinteressata, e alcune persone stavano anche lasciando il concerto, ha ha. Oggi molti di loro vogliono che torniamo a suonare. Eravamo veramente in anticipo sui tempi, creando il percorso che altri avrebbero intrapreso. 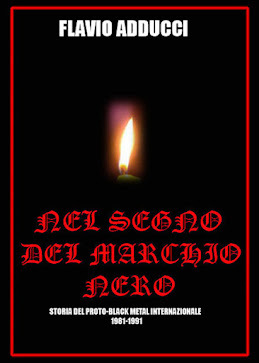 3) Cosa ne pensi dell' attuale condizione del Black Metal? E' evoluto? Qual'è la differenza con i primi tempi della scena norvegese di cui facevate parte? Ho perso interesse a metà anni '90. E mi sono tenuto alla larga da allora. Quindi non posso dire molto su ciò che accade oggi, o come si è evoluto, oltre a quanto ho detto riguardo alla perdita d' integrità nella moderna industria musicale. Sono comunque sicuro che esistano anche oggi alcune grandi band. 4) Mi piacerebbe sapere quali sono i tuoi gruppi e tipi di musica preferiti. Ho dei preferiti dai vecchi tempi, in gruppi come i Carcass, i Grotesque, In Slaughter Natives, Atom Heart, Diamanda Galas, The Residents, Mayhem, Morbid Angel, per nominare alcuni. Sono aperto verso verso molti stili di msuica, fintanto che hanno integrità. 5) Vi piace andare in tour e suonare dal vivo? E' difficile a causa del lavoro di tutti i giorni? Quando siamo andati in tour nel '96, ci è piaciuto veramente. Non abbiamo potuto farlo con il nostro nuovo album ancora, ma ci stiamo preparando per poterlo fare in questi giorni, con prove, etc. Ogni possibile conflitto con i nostri "lavori" sarà affrontato. 6) Ci saranno nuovi album da parte della vostra band in futuro? Stiamo componendo per altre uscite. Quando e dove non è facile prevederlo, a causa della nostra carriera a tutta velocità. Speriamo non ci vogliano altri diciott'anni. Ha ha ha! 7) Grazie molte per il tuo tempo. Vuoi aggiungere qualcosa per le persone la fuori? After our review of their great return "Planet Satan", Dr Best of Mysticum fame, the pivotal Industrial Black Metal band founder of the sub-genre, has kindly answered our questions, talking about the past, the present, and the future of the Norwegian band. 1) Hi. First of all, I want to say thank you for this interview. Your last album "Planet Satan" is one of the best surprises of this year. You returned with your band after a long hiatus, eighteen years from your debut "In The Streams of Inferno": what happened meanwhile? (Dr. Best) Thank you very much for your great words about our the new album. We are fully satisfied with the result and feeling it represents Mysticum fully in every way. After the debut album “In the streams of inferno” we grew tired of the circus that black metal bacame. I mean, music, design or ideas are orginal at the time of invention. When all this becomes something common and beeing victim of mass production and mass consumption things becomes boring. The purity of what was once created will vanish. This happened with black metal in end of the 90’s, but also with other generes. Deathmetal more or less died in the early 90’s, trashmetal in the end of 80’s, heavy/speed metal in the mid 80’s, etc. etc. All of this a result of people beeng fed to much. What do we have to day? A mix of them all; often labeled as extreem metal or simply as just metal. Common for most of them they are produced with standard polished digital sound. This kills the integrity of any bands. As I said, this is boring. Mysticum is all about the opposite. 1.b) I know that Prime Evil collaborated with Aborym and Amok as a singer, but Mysticum was kept in silence after an astonishing and innovative debut. What prompted your return after all these years? Safe on the outside, we started to compose and prepare for the coming of Planet Satan. It’s correct that Prime Evil was involved in Aborym and Amok, but Cersates and me remained in silence. 2) "In The Streams of Inferno" was a breath of fresh (black) air at the time of his publication, in 1996 Industrial Black Metal wasn't a thing and mixing electronics and Metal wasn't so widely accepted, especially in Black Metal. What inspired you to take that course? Do you feel you created a whole sub-genre and influenced bands like Aborym, modern Thorns, Blacklodge, and so on? We were definitely the first ones to incorporate the digital part and industrialize the sound of BM. I remember Hellhammer from Mayhem told us people could have a hard time with us using a drum maschine. This is partly true. When we played live back in 96, some people loved what they heard. Others just stood there, stiring apathetic at us , and few people was even leaving the location, ha ha. Today most of them wants us back to play again. We where truly ahead of the time, making the path for others to follow. 3) What do you think about the current state of Black Metal? Has it evolved? What's the difference with the early days of the Norwegian scene you were part of? I lost the interrest in the mid 90’s. And I have been distance ever since. As a consequence I can not say much about whats going on today, or how it has evolved other then what I mentioned above regarding the lost of inetregity within todays music industry. I’m sure though there exist some really great bands also today. 4) I would like to know what are your favorite bands and kind of music. I have some favorites from the old days in bands like Carcass, Groteque, In Slaughter Natives, Atom Heart, Diamanda Galas, The Residents, Mayhem, Morbid Angel to name a few. I’m open to many different styles of music as long as they have integrity. 5) Do you enjoy touring and the live experience? Is it a problem because of daily works? When we did touring in ’96, we really enjoyed it. We haven’t been able to do so with our new album yet, but we are prepering for beeing able to do so these days, with rehearsals, etc. Any possible conflict with our “jobs” will be handled. 6) There will be other new albums from your band in the future? We are composing for more releases. When and where is a not so easy to predict, hends our super speedy career. Hopefully it will not be yet another eighteen years. Ha ha ha! 7) Thank you very much for your time. Anything you want to add for the people out there? It’s excellent to be back, so check out our new milestone. It’s outstanding!